Luxury ski specialist Leo Trippi (leotrippi.com) announces the launch of Chesa el Toula(leotrippi.com/chesa-el-toula) in Suvretta, St. Moritz. 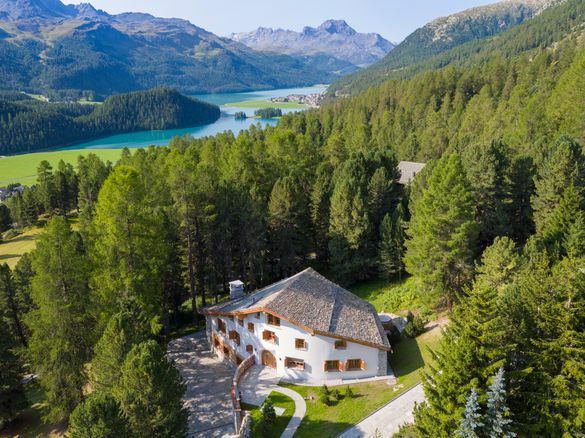 Brand new for the 2018/2019 ski season, Chesa el Toula is one of St. Moritz’s most elite properties and is exclusive to Leo Trippi.The chalet offers an unrivalled spa, as well as spacious living and entertainment facilities ideal for parties of family and friends. Originally built by the owner’s grandfather, the chalet has been in the family for two generations. Now fully renovated, Chesa el Toula offers 900m² of living space over five floors to accommodate up to 10 adults and two children. The utmost attention to detail has been paid to each aspect of the chalet, celebrating traditional Engadin features and enhancing them with the finest materials from Italian stone and rich marble to the most exquisitely crafted furnishings. This includes bespoke, one-off pieces sourced from global designers including Le Corbusier, Rugiero, Casa Milano and Porta Romana. Six en-suite bedrooms offer plenty of space for guests, from a beautiful master-suite featuring a dressing room and a bathroom nestled in the wooden eaves, to an inviting bunk bedroom perfect for children. There are three further double bedrooms with ensuite bath or shower and a fun bunk room featuring king-sized beds. An additional bedroom with shower-room is available for staff. The accommodation at Chesa el Toula is further complemented by stylish yet relaxed living space. A luxurious living room offers a large fireplace and flat screen TV (perfect to curl up in front of on a cold day), while the bar is the place for a warming tipple. A family-kitchen outfitted with top-specification equipment, breakfast nook and a sophisticated dining room for 10 guests is designed for meals shared with loved ones. There is also a separate, full-equipped professional kitchen. The home-cinema is soundproofed and offers a top-line surround sound system. A separate bar and games room with pool table and collection of rare fine wines add to the après-ski experience. Extensive spa and well-being facilities make Chesa el Toula unique in St. Moritz, including a swimming pool rarely found in the region. After a long day on the slopes, soothe aching muscles in the indoor and outdoor hot tubs, enjoy a steam in the hammam or work out in the well-equipped gym. The chalet is located just a two-minute drive from the nearest ski lift, easily reached by use of a Heritage Land Rover Defender driven by the chalet manager. Take Chesa el Toula exclusively with Leo Trippi starting from CHF 75,000 – CHF 180,000per week based on a custom offering including a chalet manager and housekeeper. To book, please contact Leo Trippi on +44 203 004 8750 or visit www.leotrippi.com.